When was the last time you changed your Facebook password? Although there are pros and cons of changing your password too frequently, using the same password as when you created your account eight years ago is definitely not best practice. Let’s try another one. In addition to Facebook, how many other sites, accounts, and web portals share the same password? Again, if you answered anything more than “zero,” you’re not following the advice of security experts. 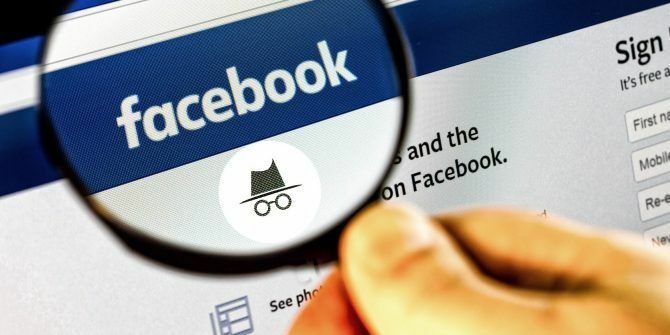 Whether you’ve been hacked, you’re worried about getting hacked, or you just want to boost your online security, now could be a good time to change your Facebook password. But how do you do it? We’ll show you everything you need to know. Changing your Facebook password is a painless task. Just follow the simple step-by-step instructions below. Note: These instructions only apply to the web version of Facebook. Click on the small arrow in the upper right-hand corner of the screen. On the dropdown menu, choose Settings. Scroll down to the Login section and click on Change password. Choose a new strong password How to Create a Strong Password That You Will Not Forget How to Create a Strong Password That You Will Not Forget Do you know how to create and remember a good password? Here are some tips and tricks to maintain strong, separate passwords for all of your online accounts. Read More and enter it twice. If you use a Facebook app on other platforms—such as mobile, tablet, or smart TV—you will need to enter your new password when you use the app for the first time after changing it. And remember, if you struggle to remember several complex passwords, you can use a password manager The Best Password Managers for Every Occasion The Best Password Managers for Every Occasion Struggling to remember your increasingly elaborate passwords? It's time to rely on one of these free or paid password managers! Read More to make the process easier. If you ever forget your username or password, here’s how you can recover your Facebook account login How to Recover Your Facebook Account When You Can No Longer Log In How to Recover Your Facebook Account When You Can No Longer Log In Learn everything you need to know about Facebook account recovery. Follow these steps to be able to log back in. Read More . Explore more about: Facebook, Password.